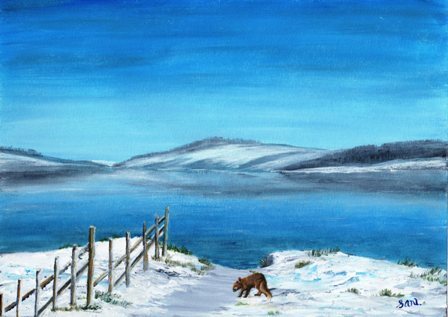 An original, signed artwork in Acrylic set in Kielder in Northumberland. 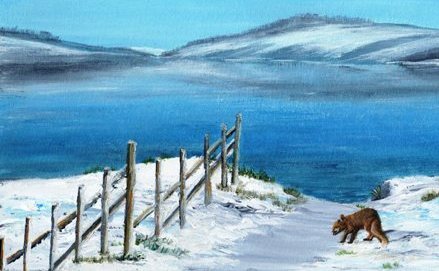 Measurements are 36 x 42cm including frame. 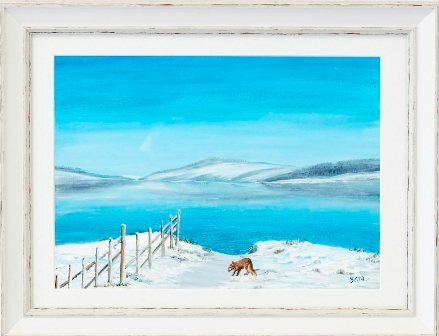 A winter scene in Kielder in Northumberland, showing a lone fox wandering around in the cold snow, by the lake, looking for food and shelter, with the beautiful hills in the background. Comes with a Certificate of Auithentication on the reverse.